In case no one has noticed, I like writing about Bryan Bennett. Probably because he played for my favorite college team, the Oregon Ducks, and the college I’ll be attending next semester. In my research I’ve determined that Bennett is a very poor man’s Marcus Mariota. For anybody out there who knows about guitars, if Mariota is an American made Gibson Les Paul Classic then Bennett is an Indonesian Epiphone Les Paul Special; the same instrument and design, but a lot lower quality. Nonetheless Bennett does have a place in the NFL, and I think he could be a good fit with a few teams. 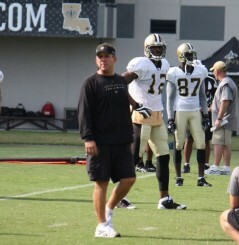 Sean Payton is always looking to add new pieces to his offense. The Saints are probably going to start looking for a successor to Drew Brees soon. Despite reports that they might be looking to spend a high pick on a QB, I don’t see the Saints spending anything higher than a 4th round pick on a QB this draft. With that in mind, a small school prospect who has experience operating various versions of the spread as well as ridiculous physical skills could be a good fit. It’s clear that Sean Payton is a future minded guy as he has in recent years adapted the Saints to running the trendier 34 defense and has incorporated the pistol formation into his offense. At the same time, Bennett needs time to develop behind a veteran QB; with Peyton Manning and Tom Brady‘s backup spots already taken what better landing spot than behind Drew Brees? While they are very different QBs, Brees could certainly show Bennett the ropes of being a pro as well as how to adapt his game to the pro game. Having a former QB as head coach in Payton would also help him make the transition from raw College prospect to NFL QB of the future. Could Bryan Bennett wind up as Drew Brees understudy? 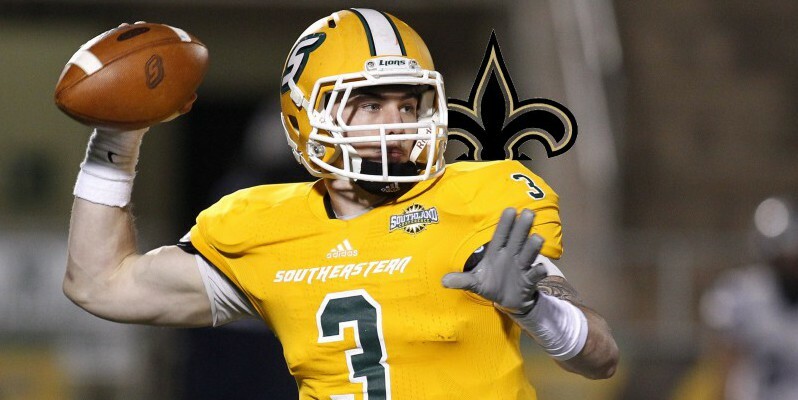 Getting drafted by the Saints would also give Bennett the opportunity to stay in Louisiana, a place he has admitted to falling in love with. This would let him live largely the same as he has while at SELU, only being 2 hours removed from the college in New Orleans. While many people may not think it makes much a difference, being in a familiar environment couldn’t hurt someone making the transition from student athlete to pro player. Next time we’ll take a look at the next NFL team that Bennett could wind up with, the Buffalo Bills.